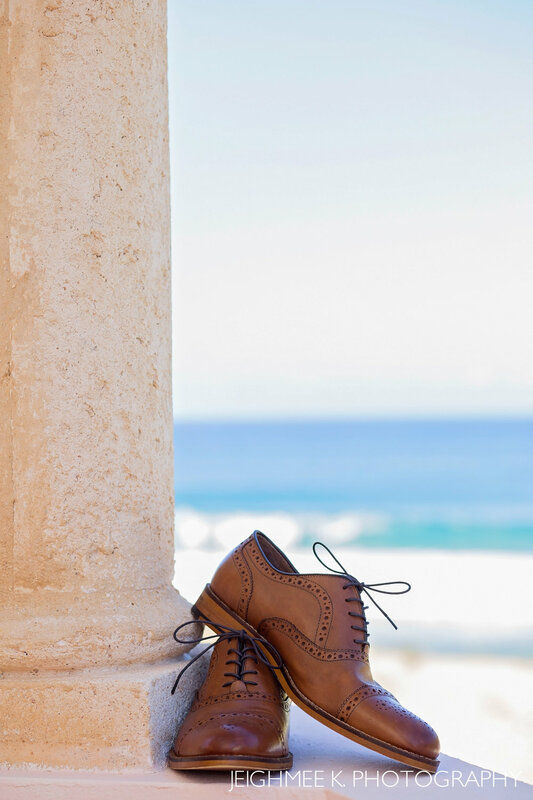 You might remember this lovely couple from this awesome Engagement Session in Old San Juan a while back. 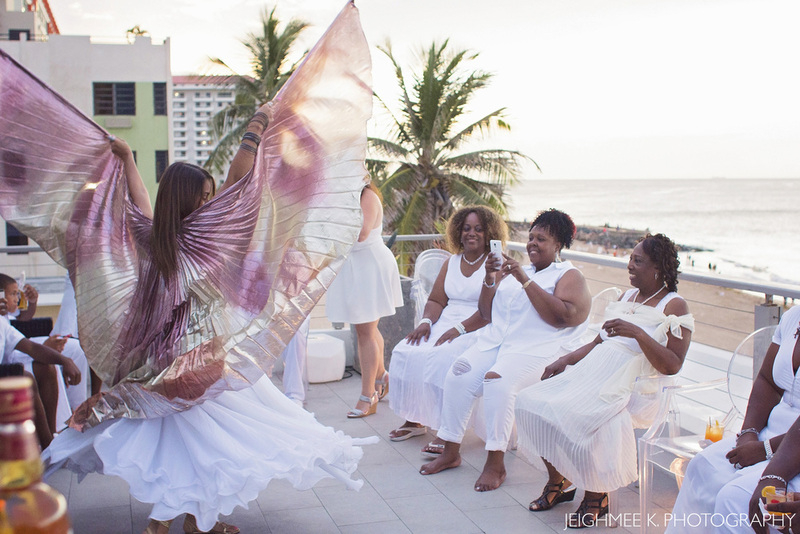 Well Lauren and Chris made it back to Puerto Rico to tie the knot at Villa Rosa Hallows Beach in Islote, Arecibo. The day was per-fect! From the moment I walked into the venue to the bouquet toss. Lauren and Chris' friends and family members were a pleasure to meet and work with as they participated actively in this very special occasion. 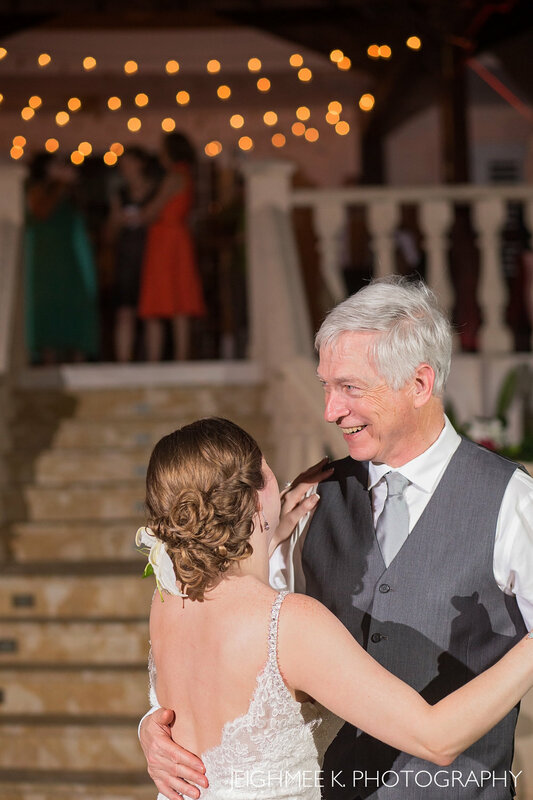 One of my favorite moments?...Lauren and Chris enjoying their first dance as a few of their guests covered 'Such Great Heights' Iron and Wine style. Tal vez reconozcas esta hermosa pareja de este Love Story en el Viejo San Juan hace un tiempo atrás. Lauren y Chris volvieron a Puerto Rico para casarse en Villa Rosa Hallows Beach en Islote, Arecibo. El día fue per-fec-to! Desde el momento que llegue al local hasta el tiro del ramo. Fue un placer conocer y trabajar con su familia y amistades, cuales partiparon activamente en este día tan especial. Uno de mis momentos favoritos?...Lauren y Chris disfrutando de su primer baile al son de sus invitados tocando y cantando 'Such Great Heights' al estilo de Iron and Wine. 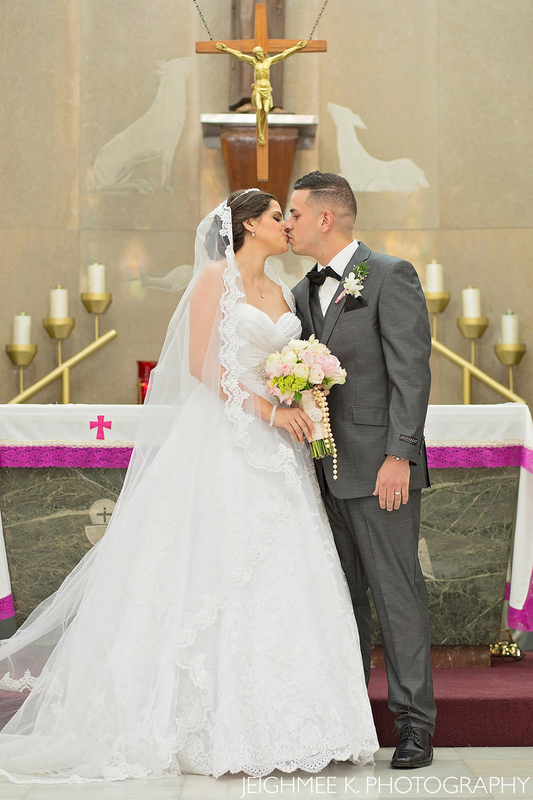 Alexandra and Cristian have tied the knot. You might just recognize these two lovelies from their darling Sunflower Farm and the Dry Forest Engagement Session in Guánica. The day started out at Alexandra's house where she was getting ready. 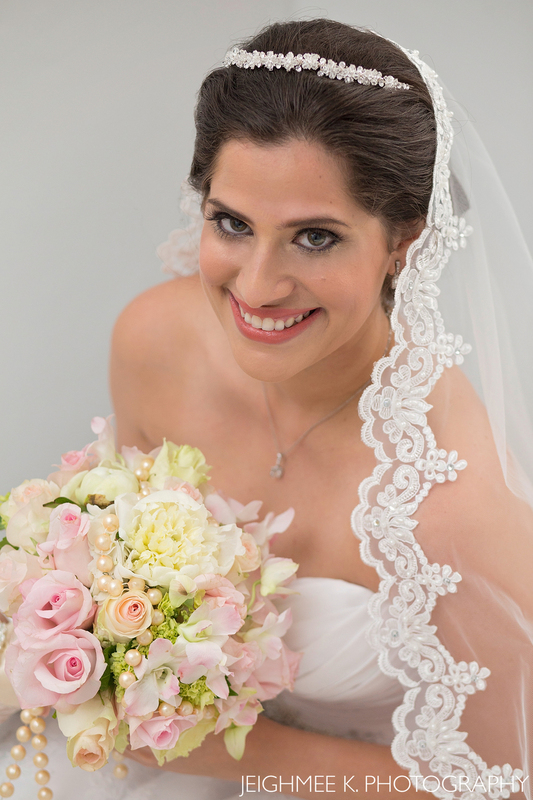 She wore a sweetheart neckline wedding dress paired with a lace veil, her makeup was very nice and natural and had a subtle updo. Everything was perfect! 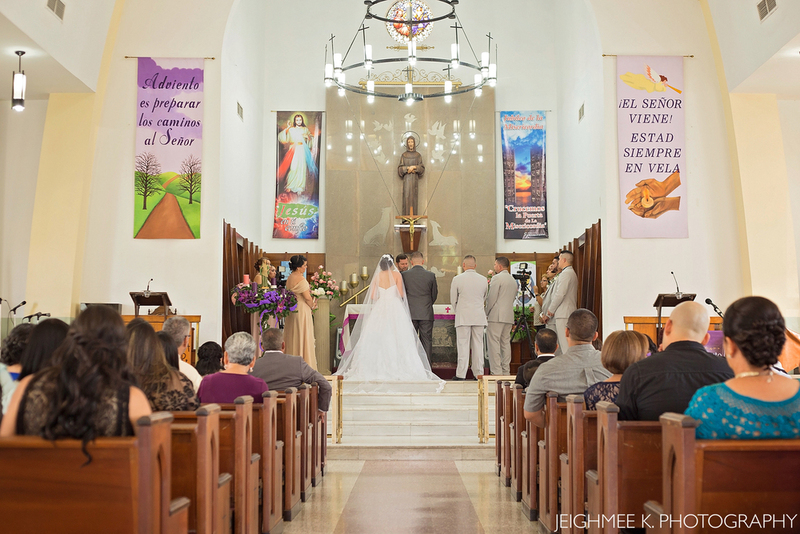 Their Ceremony was held at Iglesia San Francisco de Asis (Francis of Assisi Church) and the Reception was celebrated at Villa Paraiso both in Aguada. The decoration made me swoon! 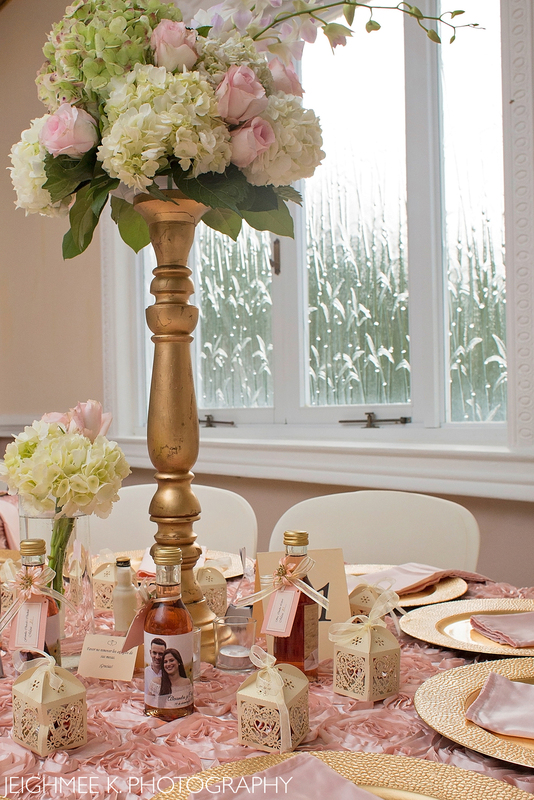 Blush, pink, gold and white will never fail at being one of the loveliest wedding color combinations. Congratulations to Alexandra and Christian! Alexandra y Christian se han casado. Es posible que reconoscan a Alexandra y Cristian de su Love Story en la Finca de Girasoles y El Bosque Seco en Guánica. Comenzamos el día en la casa de Alexandra, donde se estaba preparando. Llevaba un traje de novia de escote corazón junto con un velo de encaje, llevaba un maquillaje natural y un peinado sutil. ¡Todo era perfecto! Su ceremonia se celebró en la Iglesia de San Francisco de Asís y la recepción se celebró en Villa Paraiso, ambos en Aguada. La decoración estaba perfecta! El rosado, dorado y blanco nunca fallarán al ser una de las combinaciones más bonitas de boda. Felicitaciones a ambos! If you've been following my blog for a while, you might recognize Nahir and Gerardo from their lovely Engagement Session at the Caguas Botanical Garden. 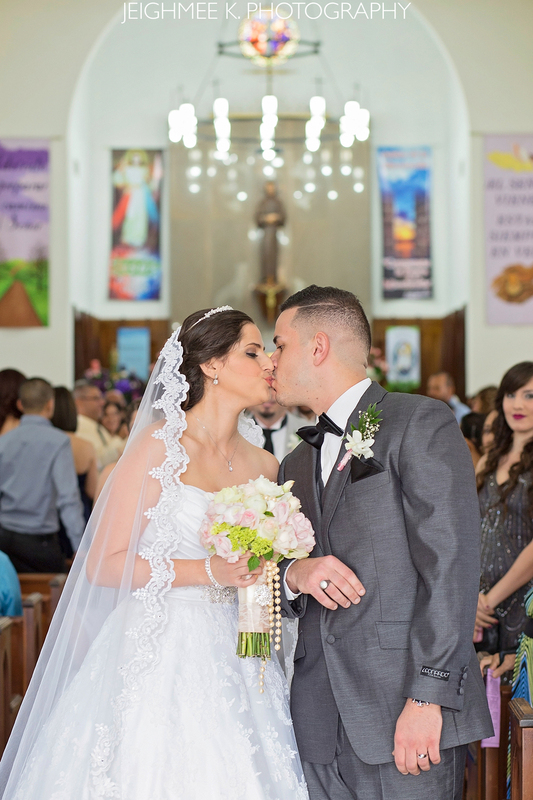 A few months after their Engagement Session, Nahir and Gerardo tied the knot! Well, in actuality this awesome couple already married a year before, so this Wedding celebration was also their First Year Anniversary. We started the day off at the Meliá Century Hotel at the heart of Ponce and from there went to El Parque Tricentenario and El Parque de Bombas for some shots. 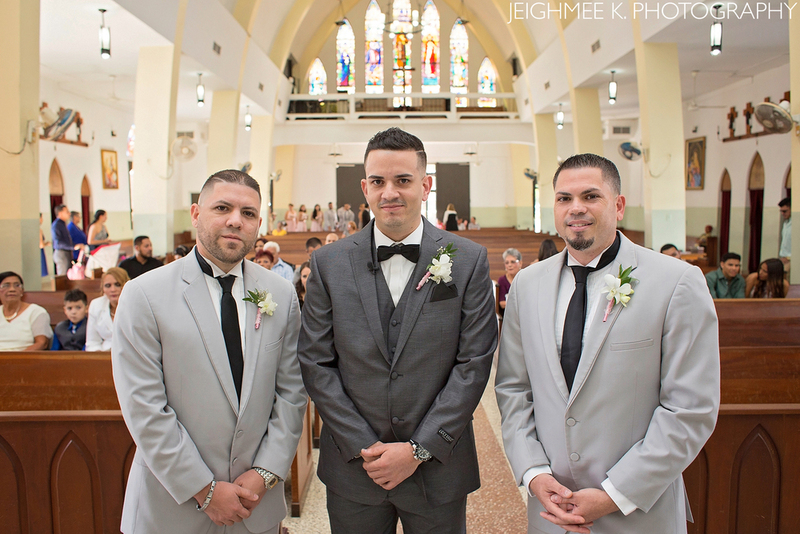 The Ceremony and the Reception were held at el Antiguo Casino de Ponce (an absolutely stunning venue might I add). Nahir and Gerardo have a lively spirit, just like the Engagement Session, working with these two sweethearts was an absolute charm! 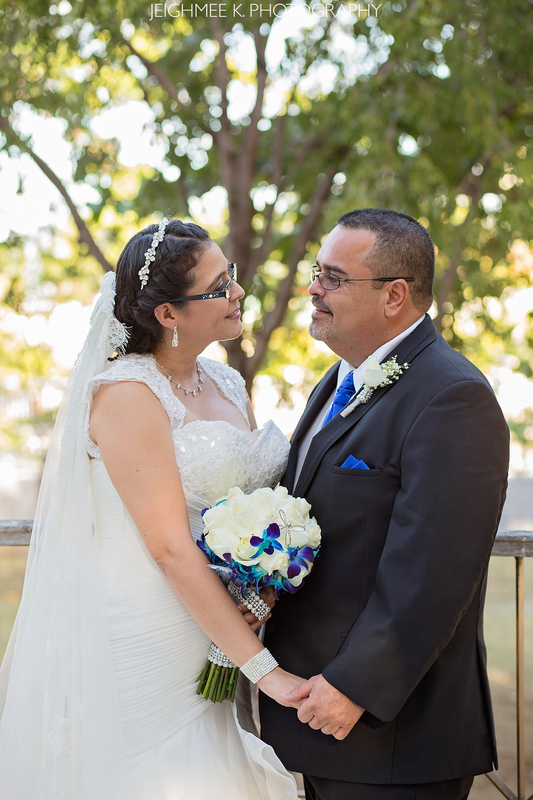 Congratulations to Nahir and Gerardo! Tiffney contacted me little over a year ago to get their Engagement Session done, so we could meet and get to know each other before their Wedding this year. Sadly they were unable to visit the island before their Wedding, but we kept in contact and turned their Engagement Session into a Honeymoon/Trash the Dress Session (coming soon to the blog!). This sweet couple, their family and friends, came all the way from Washington, DC. 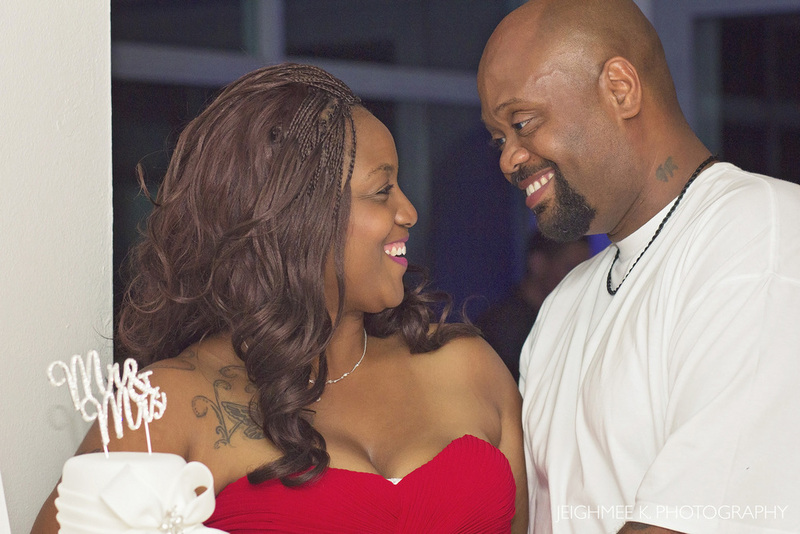 I cannot thank Tiffney, Gary & Co. enough for letting me be part of such a big moment of their lives. Congratulations to both. Cheers! Tiffney me contactó hace poco más de un año atrás para coordinar una sesión de Love Story y de una vez conocernos. Lamentablemente no pudieron visitar la isla antes de la fecha de su boda pero nos mantuvimos en comunicación y convertimos el Love Story en una Sesión de Luna de Miel/ Trash the Dress (pronto se publicará en el blog!). Esta dulce pareja, su familia y amigos vinieron desde Washington, DC. No encuentro las palabras para expresar la gratitud de permitirme ser parte de uno de los días más grandes de su vida! Felicidades a los dos. Salud! 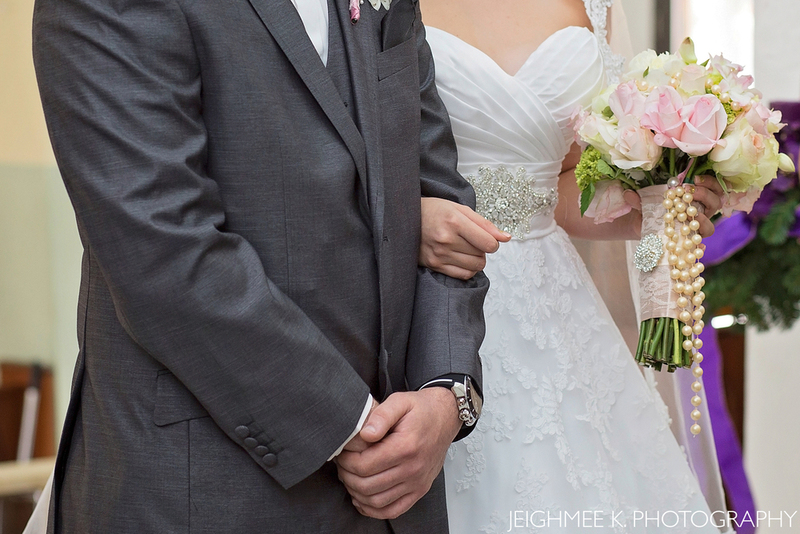 The last wedding of 2014 was magical. 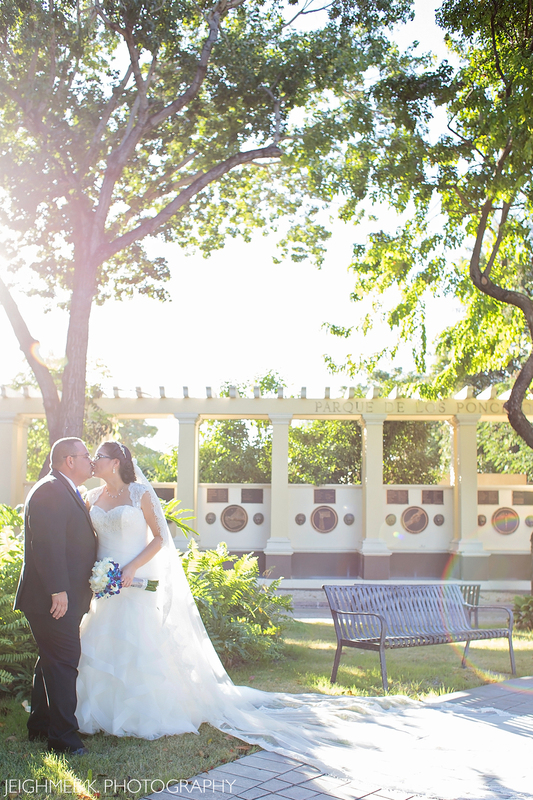 Stefany + Rafael got married in my Puerto Rican hometown, Aibonito, which is considered one of the coldest towns in Puerto Rico, yet still pretty tropical, which is why I like to call this a Tropical Winter Wedding. I've known Stefany since High School and to see her get married with the perfect person for her was heartwarming. This day was just all love and joy, no stress, cheers to Stefany + Rafael!